We&apos;ve added a new playing mode: &apos;Mix Up&apos;. Access this mode for an extra challenge once you&apos;ve completed all the chapters in the Classic game. ONE CLUE CROSSWORD is a new kind of crossword puzzle. Instead of a list of written clues, each puzzle includes a single picture. Every word in each puzzle can be deduced from the picture. In some of the puzzles you&apos;ll just need to say what you see - but in others you&apos;ll need to think a little more laterally. It&apos;s easy to play, but with 100s of unique puzzles, you might find it hard to put down! Please select the HELP option from the Options menu (the gear icon in the bottom left of the game screen) if you require assistance. 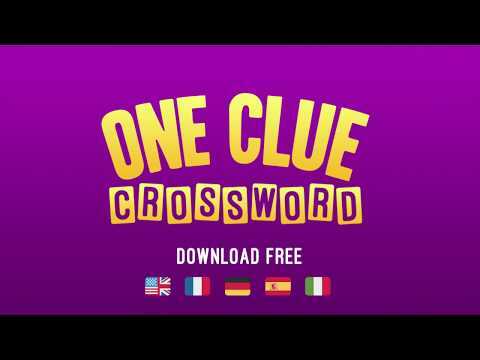 One Clue Crossword is free to play, but contains optional paid items to unlock puzzles more quickly. You can disable in-app purchase functionality in your device&apos;s settings if you do not want to use this feature.